Hazelden Publishing & Educational Services, 9781616494179, 375pp. As parents, we want our children to succeed. Not just academically, but personally. We hope they will make friends and feel secure in themselves and their environment when they are out on the playground or in the classroom. The reality is, though, that bullying has reached epidemic proportions in our nation's schools and communities. When it isn't addressed, it contributes to higher rates of depression, substance abuse, and suicide among youth. Many kids simply do not feel safe--and their teachers and parents have no idea what's going on. Some parents who know that their children are having difficulty do not know what to do: "Are these kids just being kids? Should I tell someone?" 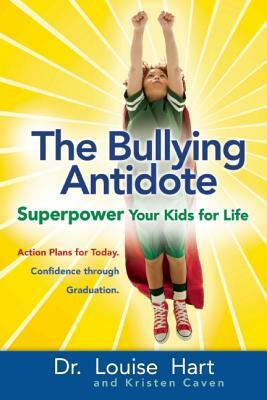 In this critical, life-saving book, Louise Hart, PhD, a leading educator in self-esteem development, gives parents the skills they need to prevent their children--whether 6 or 16--from being bullied. The antidote, she reveals, is to equip moms and dads with the tools to raise confident and resilient kids through positive parenting, including tips and a course of action for: boosting self-respect, self-care, and self-esteem in your childrenteaching your kids how to communicate effectively and assertivelydevising an action plan with your child in the event they are bulliedcreating a family culture where bullying behavior is not accepted. Louise Hart, Ph.D., is a community psychologist dedicated to creating family and school environments in which children thrive and learn the skills necessary to become healthy, self-directed, loving adults. She has conducted seminars for thousands of parents and educators nationwide.